Come join us for a day of learning how natural disasters impact families and communities and how Therapeutic Touch can be of help during times of shock, stress and trauma. Jody will introduce the polyvagal theory and also the window of tolerance. Learn how our nervous system responds during times of trauma and stressful situations. Explore resilience and how Therapeutic Touch supports nurturing, strengthens our own resilience and how Therapeutic Touch can support another in strengthening their resilience. From this workshop, you will explore hands-on how Therapeutic Touch can be of help working with trauma and anxiety. You will have a better understanding of what happens in a community when natural disaster strikes, how Therapeutic Touch can be of support during trauma, ground us during times of uncertainty and changes in the world around us, and how we can engage these qualities of Therapeutic Touch within our own communities. 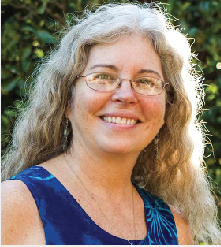 Jody began studying Therapeutic Touch in 1994 following her own healing path. In 1997, Jody expanded into teaching Therapeutic Touch in massage schools. She was an assistant to Julie Benkofsky-Webb in her role of TT camp coordinator at Indralaya for many years. Since 2014, she has been co-coordinator with Cordy Anderson for the Intermediate/Advanced TT week at Camp Indralaya. From the beginning, TT became a central figure in helping Jody understand who she was and nurturing her abilities to be of support to others in their own healing. Jody has a massage therapy practice in Sonoma, California. She is very grateful to this path of healing, grateful for the never-ending opportunities to learn, and happy to share Therapeutic Touch as a way to bring forth healing energies in this beautiful world. Select the Registration Form 2019 and Conference 2019 Poster or use the online registration form option.